Birdhouse Pendant Blank, Pine, Small Base, Pack of 6 ea. Simplied Products Home > Crafting Supplies > Birdhouse Pendant Blank, Pine, Small Base Pack of 6 ea. 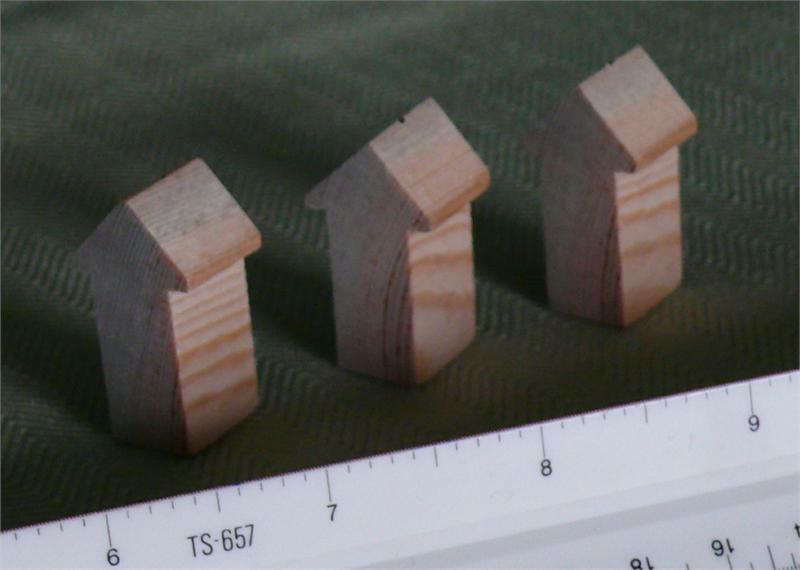 Birdhouse Pendant Blank, Pine, Small Base Pack of 6 ea. Sample of Possible Use Only! Item # 406 is a six (6) pack of “Bird House” blanks with small base, for making pendant necklaces, or other decorative pieces. Made from white pine and lightly sanded on the flat surfaces, there are no glues, finishes or waxes applied to potentially interfere with finishing. The top is pre-drilled to .052” diameter to easily accommodate even the smallest eye hook or other finial. These can be finished by in a variety of ways including painting, covering with decorative paper, adding embellishments, etc. to make a unique piece (see samples pictures). Overall dimensions: 1-3/8” tall x 3/4” wide (top) x 9/16”deep. The base is ½” wide. Sorry - samples in pictures are not included. Special sizes, materials, designs, or quantities cheerfully quoted upon request. © 2019 Simplied Products, LLC, All Rights Reserved.